Though not the best kept secret as previously rumored for months, Hollywood superstar Bradley Cooper will return to Broadway in a revival of The Elephant Man. 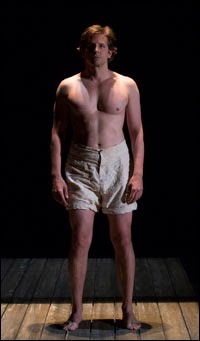 Cooper will be joined by Patricia Clarkson and Alessandro Nivola, all of whom appeared in the Williamstown Theater Festival production of the show. The production will open at a Shubert theater to be announced in the Fall. This will mark Cooper's return to Broadway having previously starred in the 2006 production of Three Days of Rain alongside Julia Roberts and Paul Rudd. Are you excited to see People's Most Beautiful Man play someone not so pretty?